FEE FI FO FUM 001 – Do you play basketball? Short Man: Wow, you’re super tall! 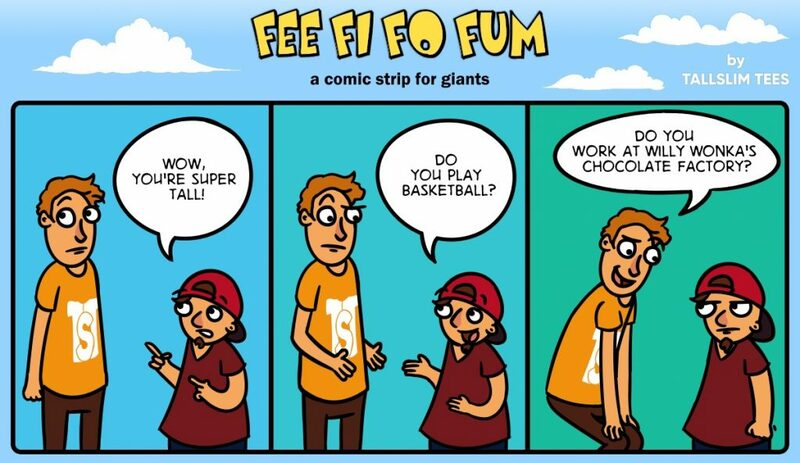 Short Man: Do you play basketball? Tall Man: Do you work at Willy Wonka’s chocolate factory?